Acidity as H2SO4 0.01% Max. 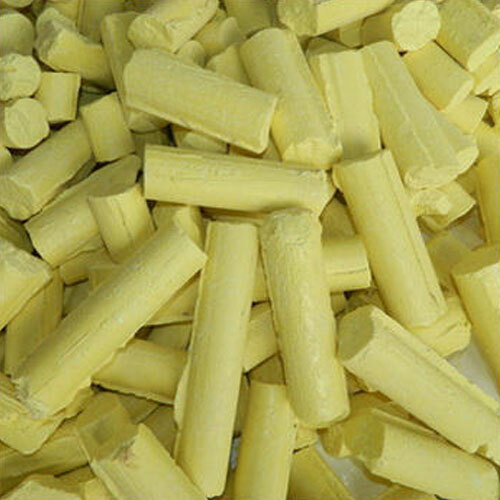 We manufacture Rubber & Tyre Grade Sulphur Powder widely used by tyre, tube rubber and foam industries. The powder is made utilizing the latest testing and analytical techniques to ensure compliance with the most rigid customer product specifications. Packed in laminated HDPE Bags, these chemicals can be availed in different quantities. Physical Analysis: 325 Mesh (95% passing), 300 Mesh (above 95% passing). Applications: Used by various Rubber & Tyre manufacturing companies. This formulation of Sulphur is insoluble in water & is widely used in agriculture. Due to its high quality & wide applications it is most commonly used. Applications : All the above mentioned Sulphur formulations are used as fungicides for the control of Powdery Mildes on Cummin Seeds, Fennel, Tobacco, Apples, Grapes, Peaches, Pumps, Rubber, Cotton, Cereals, Mangoes, Pears, Apricoats, Walnuts, Chilies, Brinjals, Ladys' Finger, Green Peas, Onion, Tomato, Beetroot, Roses etc. and scab diseases of Cowpea, Guar, Pea & Apple. 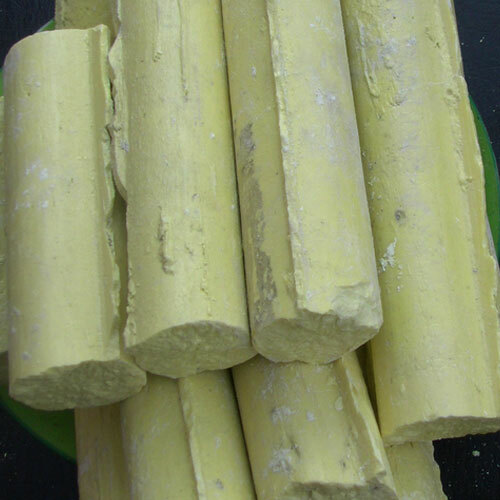 * Our Sulphur powder is free from any impurity. It is Free from A.S.T. i.e Arsenic, Selenium, Tellurium.